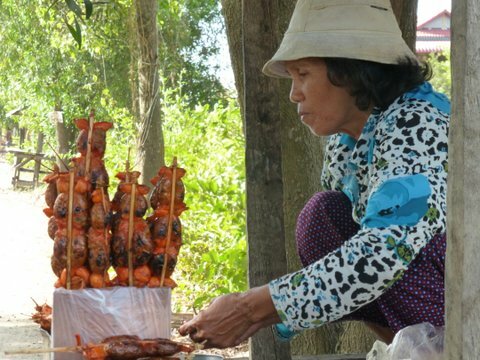 Roadside cookery is often a mystery, and I’m sorry to say I don’t always have the courage to give it a try. This lovely lady did give us a taste of an unidentifiable fruit she was also selling. Fruit, I’ll always try. -k.